Rossana Nesta Gahagan started her classical ballet studies in Italy at the School of “Balletto di Roma” and attended the “Accademia Nazionale di Danza, Roma” where she earned her BA in Vaganova Ballet Technique, the highest teaching degree given by the Italian Ministry of Education. She enhanced her skills by attending the summer program in Varna (Bulgaria), under the supervision of teachers from St. Petersburg Ballet School, Martha Graham School of New York, and later studied with Mrs. Irina Trofimova, Director of the Leningrad Vaganova Academy. During a successful professional dancing career, Ms. Gahagan performed with nationally renowned companies in Italy, such as the Teatro dell’Opera and the Company of Balletto di Roma in Rome (Italy). Ms. Gahagan started her teaching career at the School of Balletto di Roma and was later invited to teach in summer programs in Messina, Agrigento, Catania and Venice. In 1996 she was honored to be invited by the Director of La scuola di Ballo alla Scala, Mrs. Anna Maria Prina, to teach at the Ballet Summer Bozen Program in Milan, Italy. After teaching and performing in Europe for ten years, Mrs. Gahagan moved to the United States where she taught at the Western Ballet School, in Mountain View, CA. 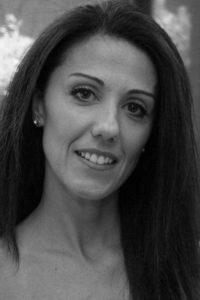 In 2000 Ms. Gahagan moved to Pittsburgh, PA and joined the faculty of the Pittsburgh Ballet Theatre (PBT) where she taught Ballet Technique, Pointe, Repertoire, Men Classes, and Pilates. While at PBT, Ms. Gahagan worked with Mr. Orr in the 2003 production of the New Nutcracker and performed in PBT’s Swan Lake in 2004. She also choreographed a number of pieces for the PBT School Spring Performances. During her time in Pittsburgh she taught classes at Point Park University, and Allegheny Ballet Company and later became a Partner at the School of American Ballet in New York, where she was invited to attend seminars and workshops with the SAB School and the New York City Ballet. In 2004 Ms. Gahagan relocated from Pittsburgh to Raleigh, NC where she joined a local ballet school and built the Intensive Summer Program bringing in such renowned guest teachers including Kee Juan Han (Director of The Washington School of Ballet), Roberto Munoz (former PBT Ballet Master, Artistic Director SSDI and Gulfshore Ballet), Melinda Roy (former NYC Ballet Principal Dancer, Artistic Director SSDI and Gulfshore Ballet), Maribel Modrono (former PBT and Miami City Ballet Principal Dancer), Sandra Ballestracci (Artistic Director of Eastern Virginia School of Performing Arts), Miguel Campaneria, Dana Arey (former PBT Ballet Master and former Pennsylvania Ballet Principal Dancer, Faculty Point Park University), and Hong Yang (Carolina Ballet Soloist). Ms. Gahagan restaged productions of La Bayadere, Coppelia, Paquita, and Sleeping Beauty among others. She was able to obtain a license from the Balanchine Trust allowing her students to perform several Balanchine pieces in 2008 and 2009. Ms. Gahagan returned to the stage in 2009 when Robert Weiss, Director of Carolina Ballet invited her to perform in his 2009 productions of Swan Lake and Picasso’s Salome. She has been invited to serve on the guest faculty for the 2010 Saratoga Summer Dance Intensive.